Is the “best” hosted voice-over-IP (VoIP) solution much different for a small business than it is for an enterprise? Organizations of all sizes need the same thing from their hosted VoIP solutions, which is quality. When quality is defined as the value for cost, it’s the single most significant predictor of customer satisfaction and quality of experience. There are some differences between major enterprises and small and mid-sized businesses (SMB) when it comes to the technical specifications of the solution itself, priorities, requirements, and other factors. Enterprises are likely to have a greater need for availability and uptime guarantees because of regulations or corporate policy requirements. Large organizations may also need to ensure that a prospective vendor’s technology can integrate seamlessly into a complex technical infrastructure like ERP systems or SQL databases. For multi-site firms such as Atlantech client Montgomery College, finding a partner who can support a custom, multi-phased migration to VoIP is key. While smaller organizations are likely to have fewer stringent technical requirements, such as large call centers or integration with multi-site video conferencing hardware, they may approach the VoIP selection process with a focus on optimizing cost and maximizing their business communications budget. The solution isn’t going with a cut-rate provider, but finding a hosted VoIP partner who offers value at the right price point. Additionally, additional capability should be factored into the equation because they bottom line price may not be different or even more, added features can produce a financial benefit. More importantly, these tendencies aren’t absolutes. No two organizations are the same, and the specific technical and cultural requirements that define the details of the “right” hosted VoIP solution can vary for a lot more reasons than just business size–including factors such as industry, compliance requirements, growth goals, business model, and more. No matter what your budget is or how many phone lines you’re going to be paying for each month, you want to ensure that your hosted VoIP service carries the promise of high-quality voice communications, reliability and support for mobility to support employee productivity and satisfaction. Quality doesn’t mean the most expensive provider. To transform your business communications budget into high-value cloud voice communications, you don’t need to far exceed your budget. The following factors are guidelines for businesses of all sizes, to help you understand the process of quality-minded VoIP selection. By knowing the right questions to ask, you can understand the vendors who can design a hosted VoIP solution that will meet and exceed your expectations. You can’t manage the quality of something that’s completely outside your control, right? To ensure your VoIP solution meets your expectations, finding a provider who maintains control over their own network and equipment is a critically-important selection criterion. Some hosted VoIP solution providers own, operate, and manage their own equipment. Others rely on a patchwork network of equipment and solutions which are leased from other providers. Others still are effectively resellers, with little-to-no control over the actual network or service they’re offering to prospective clients. Organizations of all sizes should fast-track facilities-based providers, who own their own telco switches and data centers. This can provide better quality in many ways, including superior security, reliability, and customer service. No organization wants to encounter hidden costs or complexities as they switch to hosted voice services. Equipment sourcing shouldn’t be a complex part of your changeover, which is why partnering with a provider who can guide you to the right equipment and provide reasonable up-front cost estimates based on your requirements is key to transparency and satisfaction. A single-source provider who can help you access the right soft phone, handsets and other needed equipment/services, and can save you money with volume-based discounting and simplicity in billing. It also offers simpler coordination and streamlines your organization’s requirements during a time of technology-related change. With an expert vendor who understands your requirements, you can even unlock true value with equipment selection by acquiring handsets which meet your needs at the lowest cost possible, training, installation, and other great benefits. Atlantech Online can offer the phone service, phone handsets, of course delivery the connectivity that it rides and, we even have a Field Service Technician team that can take care of all your internal wiring! How does a prospective VoIP provider source their connection? WIll they be providing a circuit to your business location, or are they leasing a circuit from larger vendors? Leased circuits may rely on lines which share facilities with public internet traffic, which can carry risks of diminished quality and information security risks. The more direct and private the circuit for your hosted VoIP service, the higher-quality your service will be. Don’t hesitate to ask prospective vendors plenty of questions about where their service originates, and how it is delivered to clients. In general, vendors who own and maintain control over client services from end-to-end can offer superior quality and reliability. Does the vendor offer their own data connectivity as an add-on service which can be bundled with hosted VoIP, or are clients expected to provide their own bandwidth through another contract with an entirely separate vendor? The majority of hosted VoIP vendors are in the business of phone service-only. They don’t own or operate their own network, and if they do, it’s leased and resold. The "bring your own bandwidth” approach has many disadvantages, all of which can detract from the quality of your VoIP solution. If your phone system goes down, you’ll need to troubleshoot two different vendors simultaneously. Your voice packets are transmitted over a network with the public, consumer internet traffic, which can result in dropped and misordered packets. The fact your calls are being passed between two vendors decreases security. A hosted VoIP solution with a vendor who offers data connectivity offers one immediate benefit, which is cost savings through bundling. However, there are quite a few more benefits which are less associated with hard costs, but likely to become apparent over time. With improved data packet prioritization, lower risks, higher reliability, and better call-quality, a single vendor network is worth the investment. A significant component of quality is customization. If your organization needs to drastically switch your business models or technology or expectations since a vendor doesn’t have the capacity to meet your needs, you may need to keep searching for the right hosted VoIP solution. The best VoIP solutions can sometimes employ analog lines for certain use cases. Some organizations may choose to maintain one or more traditional phone lines to support fax machines, alarm systems, or a building elevator. Traditional phone lines may not be the optimal way to communicate with coworkers or customers, but there are certain use cases in both the enterprise or SMB where they make the most sense. If you anticipate a need to maintain one or more PRI or analog phone lines after your switch to a hosted VoIP solution, interview prospective vendors about their ability to provide support for all of your voice communications needs. Not all VoIP providers own or operate their own SBCs. 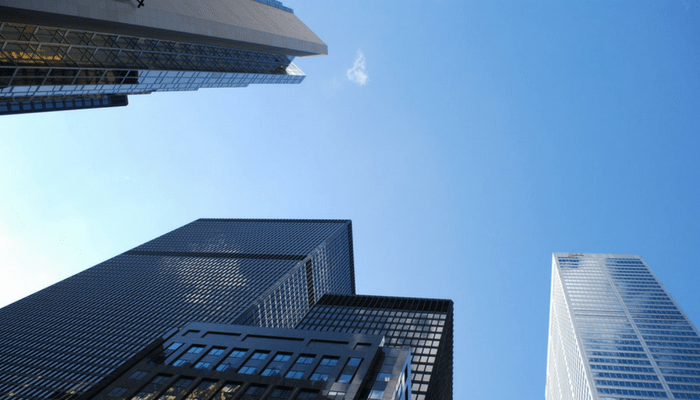 Finding a vendor who owns, controls, and has a local SBC which is relatively close to your business location is a powerful tool in your quality arsenal to ensure the exceptional performance of voice communications. Finding a VoIP provider with local SBCs is unlikely to skyrocket the cost you pay each month. In fact, the opposite is true. Vendors with their own SBCs can protect clients from the costs of having to acquire and manage these expensive pieces of equipment. When asking vendors where your call media will be pinned, answers can vary drastically. Ideally, you want to find an organization whose SBC is within the same region. You may discover that some vendors don’t even have an SBC in the same country as your office. Few things can have a more significant impact on quality of experience than unplanned downtime or disastrous migrations to a cloud-based platform for business phone service. Your VoIP provider will be responsible for configuring your new solution and porting new numbers. In some cases, such as if your organization was previously using a legacy PBX solution, the porting process could be complex. Exceptional, expert customer support is among the most important components of the best hosted VoIP solutions. Regardless of whether your organization is shopping for 500 phone lines or 5, you should have the expectation of expert customer support 24/7. Unfortunately, this isn’t a standard among all VoIP providers. Some nationwide communications vendors even offer live, expert support as an optional add-on package. Don’t hesitate to interview prospective vendors carefully about how support is factored into packages, and how they train and manage their team of support representatives. Local, highly-trained customer service representatives are much more likely to be able to provide one-call resolution than a VoIP vendor who offers outsourced customer service or limited support hours. Being able to troubleshoot problems and get answers when you need them quickly is a crucial component of quality solutions. Any hosted VoIP solution can offer marketing-speak promises of “the most reliable service,” but can it deliver on these promises? The key to unlocking value here is likely found in SLAs, or service-level agreements. SLAs act as a contract between a vendor and a client to ensure quality expectations are met once the hosted VoIP solution goes live. For organizations of all sizes, SLAs can offer peace of mind that quality won’t slip once the ink dries on the contract. To ensure a prospective vendor’s track record matches their promises, don’t hesitate to inquire about historical uptime and availability records, and the measures they take to ensure QoS for clients. While the right vendor is going to have a dramatic impact on your experience, finding a vendor who offers an exceptional platform for hosted VoIP solutions is also an important aspect of quality. The platform can shape employee satisfaction because it’s going to be the mobile application and user interface that your talent interacts with on a daily basis. A clunky, difficult-to-use platform which only works intermittently is definitely not representative of a quality purchase. Some organizations may be partnered with well-known platforms, such as BroadSoft or Cisco. Others may have a proprietary solution. Depending on the solution used, your access to features will vary. Finding a vendor who uses a great platform is important, but selecting a provider who is highly-knowledgeable in their solution of choice matters just as much. Atlantech uses Cisco's Broadsoft platform for delivering hosted VoIP and Unified Communications service, which is considered an industry leader in the areas of reliability, security, and scalability. BroadSoft offers the most extensive options for services and functionality, allowing organizations from enterprise to SMB to shape a hosted VoIP experience to fit their use cases. Finding a vendor who offers ready-made e911 which is mobile-compatible isn’t just a mark of a quality hosted VoIP solution, it’s a matter of employee safety. E911 service provides emergency dispatch with crucial location information in case of emergency by automatically pinpointing a caller’s location and communicating this data to emergency services. Ideally, your vendor should mobilize devices on your network to connect automatically and directly to security systems and emergency services. This can provide security and protection to your staff in worst-case scenarios, no matter where they’re located when they call 911. For organizations of all sizes, one of the most important factors to understand when shopping for hosted VoIP solutions is that cost doesn’t always translate into value, and that vendor business practices can vary drastically. Shopping by cost alone is a dangerous approach, and going with a cut-rate vendor can lead to financial-based nightmares and risks based on factors such as hidden costs, mismanaged implementations, and poor reliability post-implementation. No matter how large your organization is or what your technical requirements are, the most surefire way to find the right VoIP vendor and solution for your needs is to focus on quality–or value for the cost you pay each month. By digging into vendor business practices, customer support, and other factors that impact customer experience, you can unlock the full scope of benefits of cloud-based business phones. Wondering how to understand your organization’s requirements for a hosted VoIP solution? 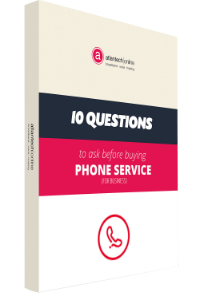 For more expert, unbiased insight into finding the best VoIP for your needs, download the free eBook: 10 Questions to Ask Before You Buy Phone Service for Your Business.